Now that we’re well into July, the Farmington has settled nicely into its usual summer patterns. The fish are spread out, and we’ll start to see some of the bigger guns moving into the fast water. Terrestrials are a good bet in daylight hours, for prospecting, or during periods when there is no hatch activity. Nymphing deep pockets and fast water can be very rewarding. This is the time of year when I love to walk the river and lazily swing wet flies over fishily-looking lies, or drift them hard against the riverbank. 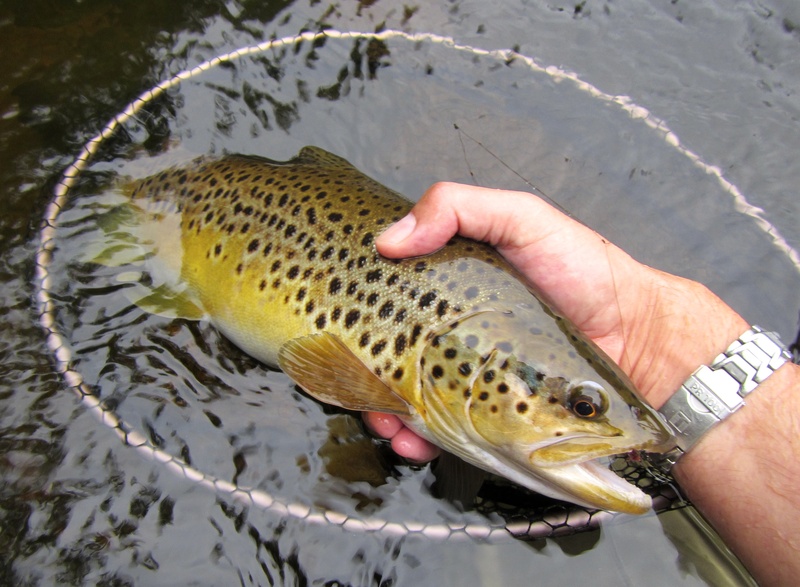 Current hatches include tiny BWOs, smaller sulphurs and other yellow/creamy bugs (16-20), the omnipresent tan caddis, and for those of us who enjoy fishing minuscule patterns that blend in perfectly with the river bottom, Needhami. In my experience, sparser is better with the Needhami — I use a fly that’s basically some fine thread on a 22-26 hook with a CDC puff wing. At the opposite end of the fly size spectrum, it’s a good time to crack open the hoppers box, or swing and strip big streamers after dark. (And let’s not forget the mouse patterns.) If you’re going the after dark route, be sure to stay off MDC property. They can and will ticket you. Now, if I could only get out there. A big ‘ole Farmington River summertime brown, taken on a March Brown hackled wet. Sand eels were the predominant bait, about 2-3″ long, and very fragile. Biolume in the water, which was 63 degrees. New moon to Q1. Fished both incoming and outgoing tides. Fished open ocean and the pond. Fished some new secret spots. Had more water to myself than I’ve ever experienced. A most excellent week. 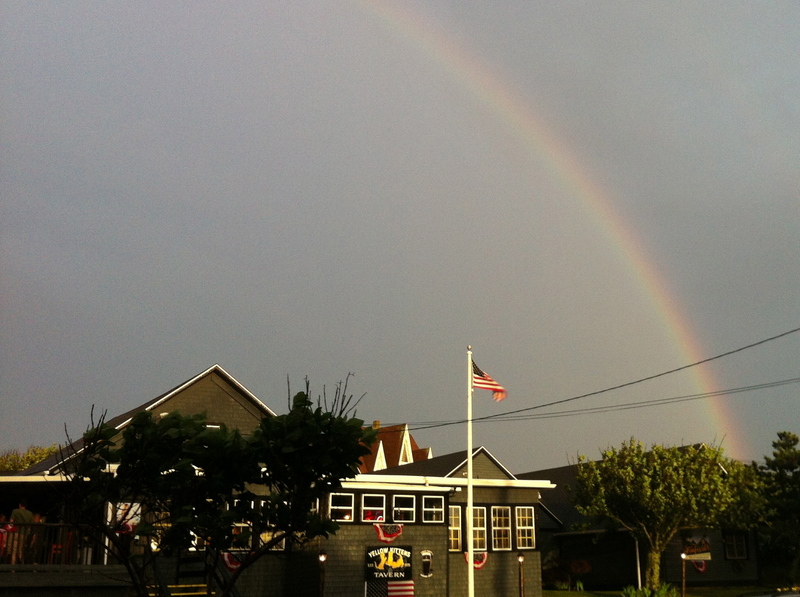 The Yellow Kittens, Old Glory, and a Fourth of July rainbow.